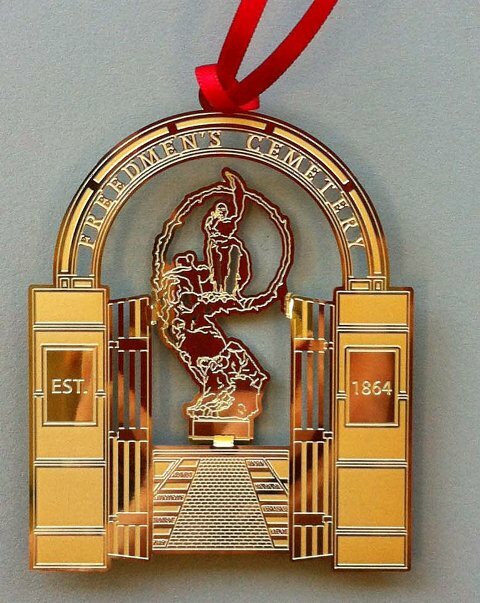 Two Historic Alexandria Ornaments are available for 2014. 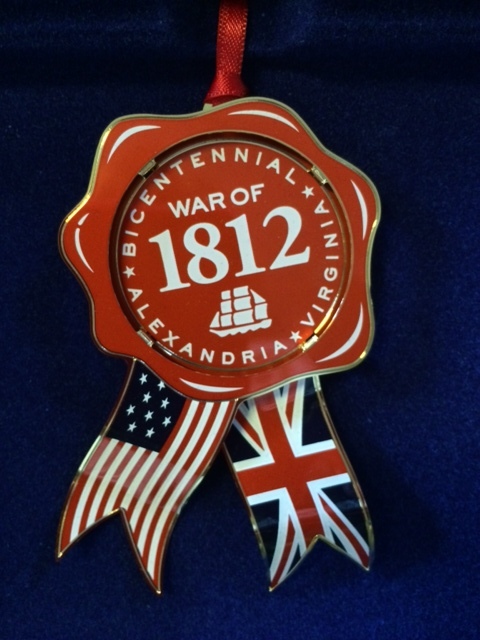 This ornament commemorates the War of 1812 in Alexandria. In August of 1814, the City of Alexandria was occupied by the British after the burning of Washington, DC. The ornament features a wax seal, symbolizing the goods taken from the city as part of the terms of capitulation, which spared the historic buildings residents and visitors enjoy today. The flags of both the United States and Great Britain recall the friendship between the nations that has developed since the War of 1812.